Joyce A. Mitchell, PhD, is the new chair of the NLM Board of Regents. She joined the Board in 2009 and began her one-year term as chair in August 2012. Dr. Mitchell’s expertise is in biomedical informatics and genetics. 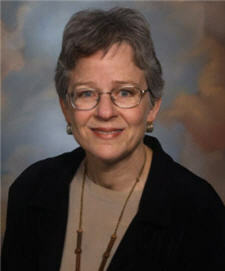 She is professor and chair of the Department of Biomedical Informatics at the University of Utah. Dr. Mitchell is a Fellow of both the American College of Medical Informatics (FACMI) and the American College of Medical Genetics (FACMG). She is certified as a medical geneticist by the American Board of Medical Genetics and the American College of Medical Genetics. In addition to her work on the NLM Board of Regents, Dr. Mitchell has made other contributions to NLM and the National Institutes of Health. She spent a sabbatical year at NLM and contributed to the development of the Genetics Home Reference Web site, which provides consumer information about genetic conditions and the genes or chromosomes that contribute to those conditions. She co-directs a course in biomedical informatics that NLM sponsors annually at the Marine Biological Laboratory in Woods Hole, Massachusetts. Dr. Mitchell also is a member of the NIH Council of Councils, which advises the NIH Director on matters related to the policies and activities of the Division of Program Coordination, Planning, and Strategic Initiatives (DPCPSI).